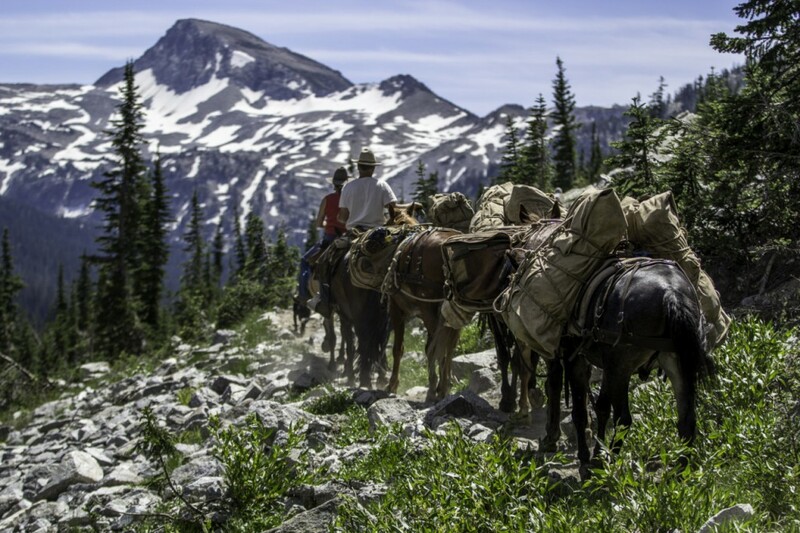 When determining how many pack animals you will need for your group, keep in mind that we allow up to 120 lbs per pack animal. It is important that you have a rough idea of the total weight of your gear before your trip and that you let us know so we are sure to bring along enough stock. Due to typical snow pack, we usually can’t offer trips into the Wallowa Mountains until after July 15. If you’re interested in an earlier ride, try out the Snake River. Spring comes a lot earlier there with wildflowers blooming profusely in April and May. Extend your outdoor season by taking advantage of this early opportunity. Join us for antler hunting, wildlife viewing or photography trips. 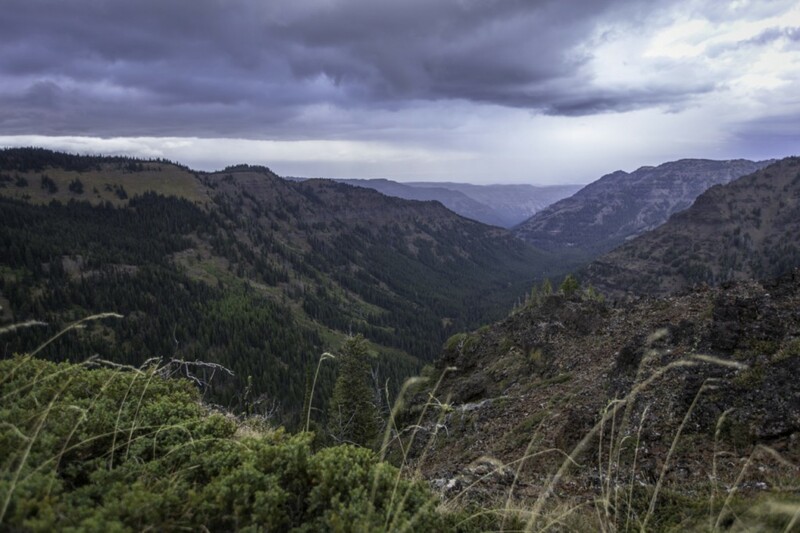 If you’re looking for the ultimate vacation into one of Oregon’s greatest Wilderness area’s, this trip is for you. 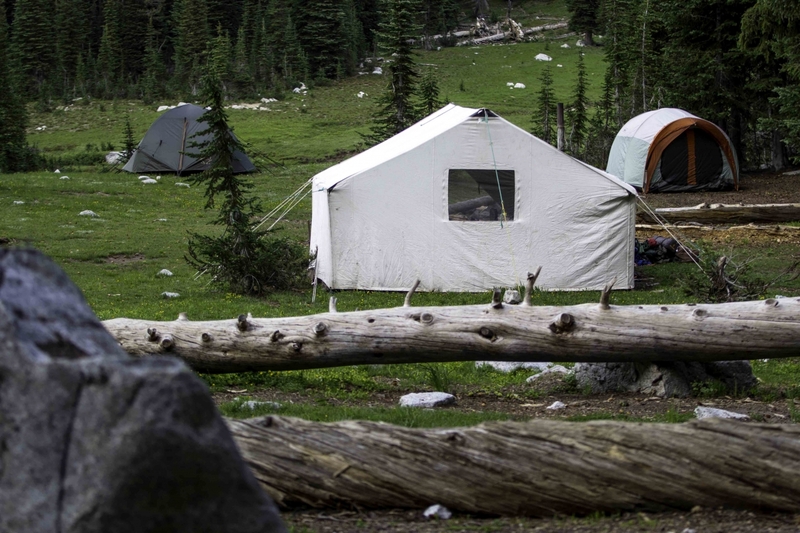 The deluxe camp features a full blown camp suited with more than the essentials for an amazing trip in the backcountry. 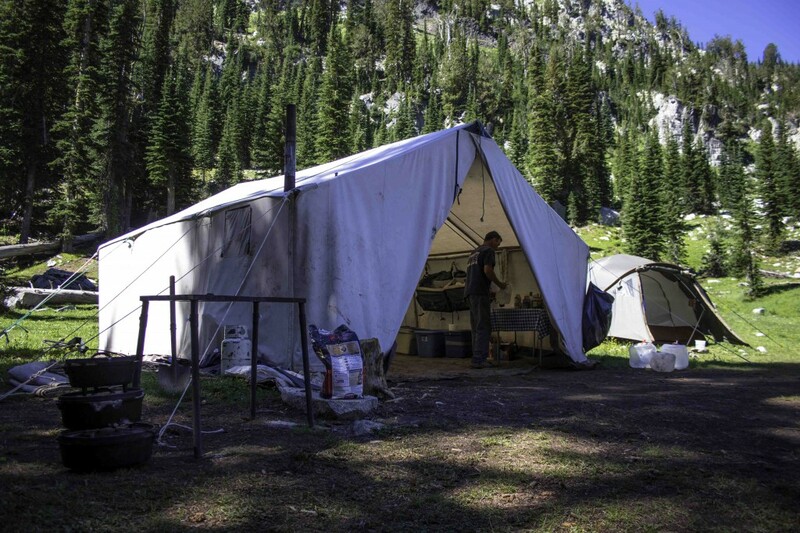 Along with your own personal dome tent to sleep in, a 14x16ft wall tent will be provided with a full kitchen and a skilled camp cook. This high altitude catering is top of the line with entrees cooked to perfection in a range of dutch ovens. Del Sol makes the wilderness a comfortable place to be with plenty of chairs to relax in, a clean kitchen, and hot showers. We do not provide sleeping bags or pads. Cots are available to rent for an additional $25. If you want to go for a day ride to one of the many lakes near camp, or hike to the top of a Eagle Cap, it’s all there for the taking. 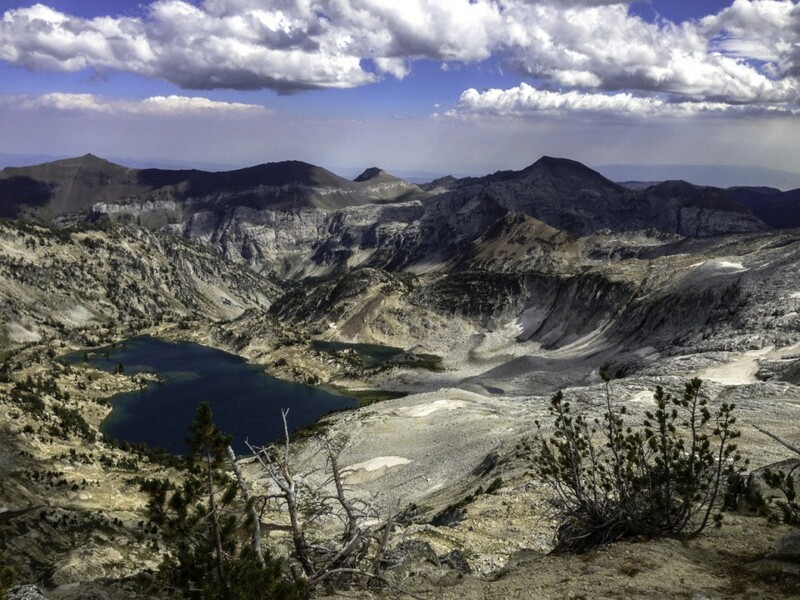 The summit of Eagle Cap, and other high granite peaks, are accessible right from camp. We encourage deluxe trips for 5 days or longer with 5 or more people to get the most out of your Wilderness adventure. 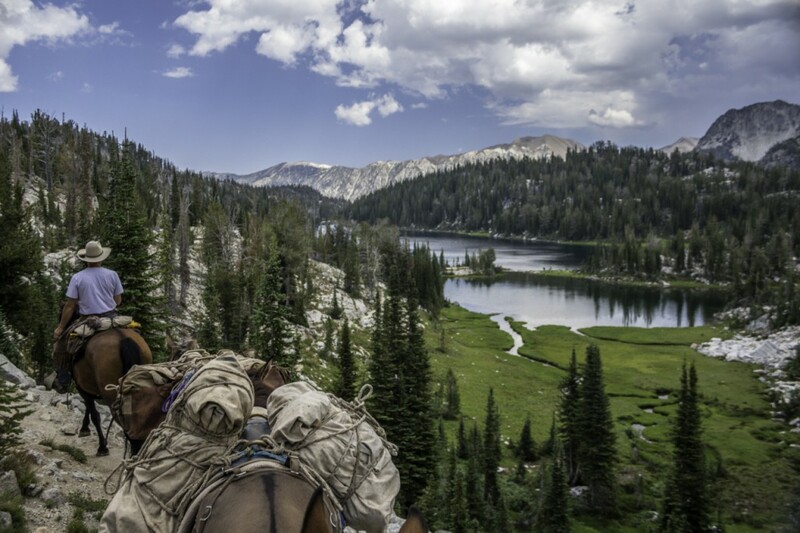 Riding horseback in the largest Wilderness area in Oregon, is a experience that Del Sol is proud to offer. Deluxe trips are $250/person/day. We provide the service, you provide the gear. Camping gear is not included, perfect for those campers that already have their own gear. Choose a location, and how long you want to stay. We will get you in and out in a timely Del Sol fashion. Cost for this trip is based on how many pack and riding animals you need. The minimum is $600 for a wrangler and 2 pack or riding animals/per day used. Each additional animal needed is $100/day. Like to hike in at your leisure? We pack your gear to a predetermined camp site in the mountains. You hike in and stay as long as you like. We return to pack your gear out when your trip is over. Cost for this trip is based on how many pack and riding animals you need. The minimum is $600 for a wrangler and 2 pack or riding animals/per day used. Each additional animal needed is $100/day. Want to do a summer trip on your own? Rent our supplied base camp. Hike or ride into our Base Camp on the East Fork of the Lostine River. We provide dome tents for sleeping, camp chairs, a cook tent, a full kitchen including propane cook stove, propane and dishes are all provided. You bring your own food and paper products. Camp wood is not provided. There is a spring close to the camp for drinking water. We suggest you filter or boil your drinking water. Price for the Base Camp rental is $250/ night. The price for packing you and your gear in is based on the amount of riding and pack animals needed. It is $600 for a wrangler and two animals; each additional animal is $100 each. You will be asked to pack your trash out and keep the camp clean. 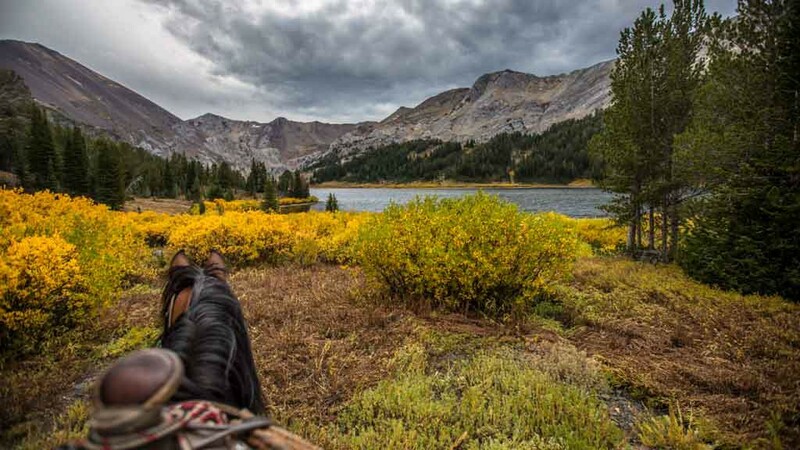 Spend 4 days/nights on a float trip down the Snake River, enjoying the deepest gorge in North America, and then 3 days/nights horseback riding in the Wallowa Mountains. Call for details. Del Sol will work with you to plan the perfect adventure. Call us to discuss your options. ECO TOUR: VISIT THE OLDEST TREE IN OREGON! Join us for a trip to visit what is said to be the OLDEST TREE IN OREGON – estimated to be between 2,000 and 3,000 years old. This tree has survived thousands of years in the wild, rough mountains of Eastern Oregon. It’s big, beautiful and just waiting for you to visit. Trip includes all meals, cook shelter, and sleeping tents. We’ll meet at the trail head at 8 a.m. for a 4 hour hike or ride along a beautiful river to the camp site. After setting up camp, we’ll explore local wildlife and plants as well as discuss the geology of the area. Next morning we’ll spend all day hiking and exploring our way across mountain terrain, snow fields and creeks to the tree location. Day 3 will be spent riding or hiking to mountain passes and another day of exploring. Day 4 we ride back to the trail head, arriving about 1 p.m.
Price for this once in a lifetime trip is only $1,500 per guest. Call us for details.